Chuck Rudy Jr. needed your help to identify details on last weekend's Mystery Foto. 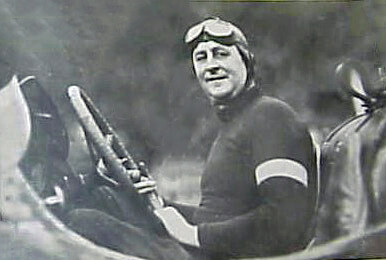 Harry Grant, winner of the 1909 and 1910 Vanderbilt Cup Races. Sunbeam. 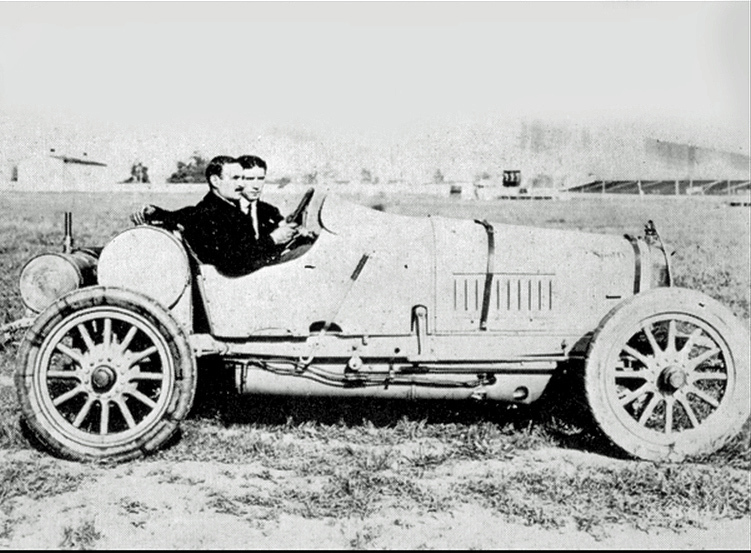 Likely, the Sunbeam driven in the 1914 Indy 500 Race by Jean Chassagne. 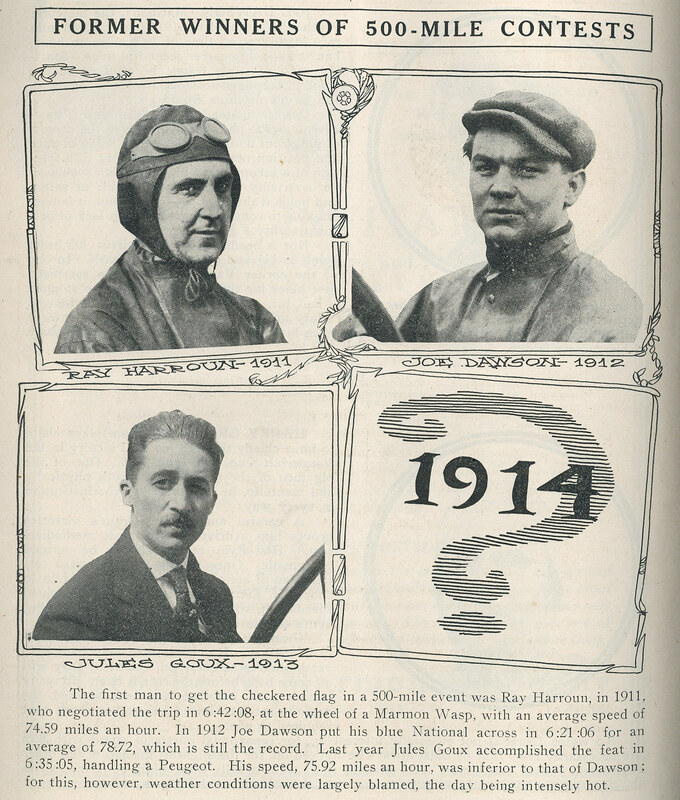 The 1914 Indy 500 Race held on May 30, 1914. Congrats to Ted, Greg O. Ariejan Bos, Steve Lucas and Frank Mendyk for correctly identifying Harry grant. Special kudos to Ariejan Bos of the Netherlands for recognizing the 1914 Indy 500 Race and the Sunbeam. 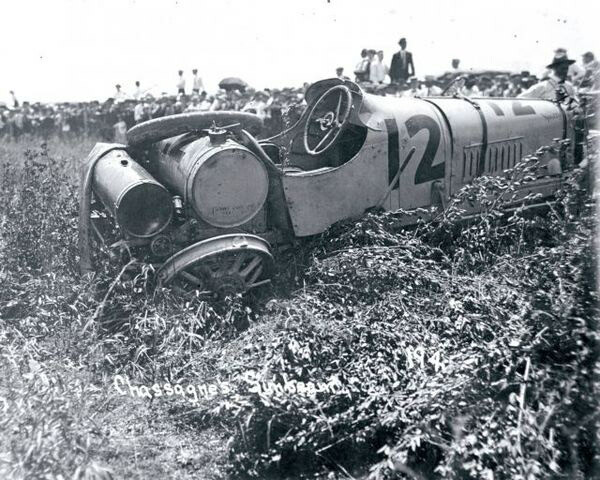 Harry Grant in Chassagne's #12 Sunbeam racer. Note: The windscreen on top of the dash. 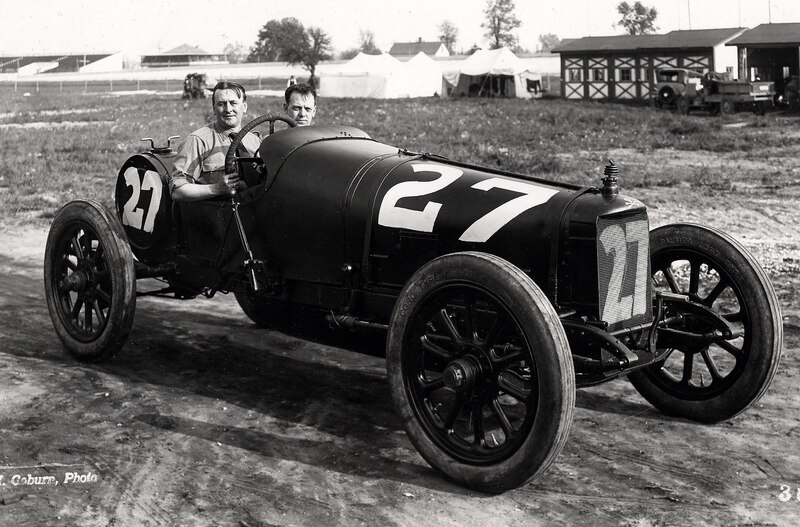 Driver Harry Grant in the #27 Sunbeam. Note: The absence of a windscreen. 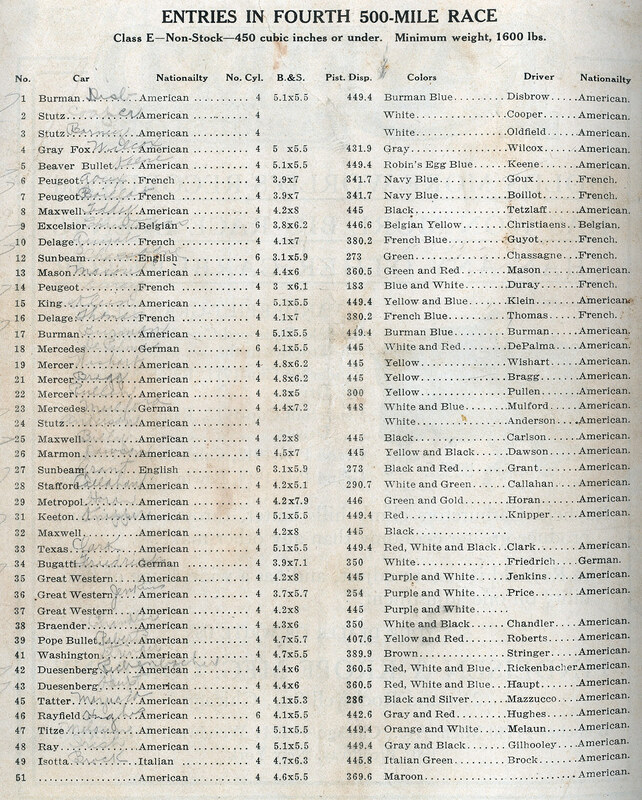 Got to be kidding on the driver,got to know who that is,the driver of the Black Beast,Harry Grant,no doubt,but not here, have to search a little for the rest. I’ll try to get back. 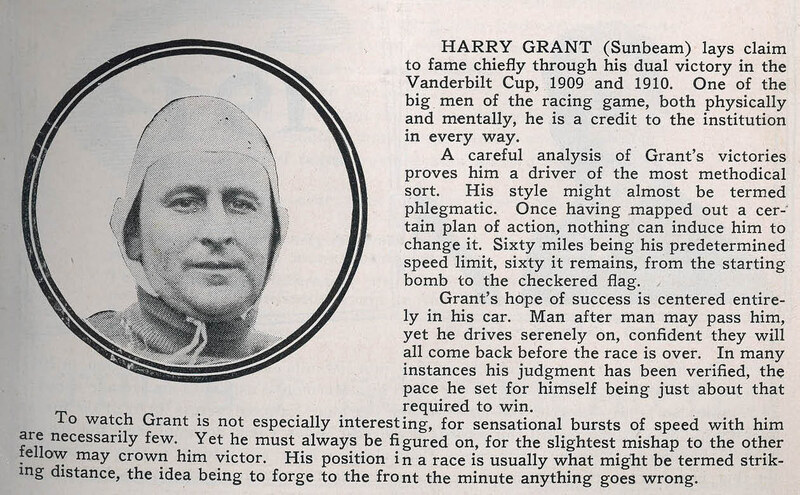 The picture shows Harry Grant in one of the1914 Indy Sunbeams. The picture is confusing, because he is not sitting in his own car, but in the car of Jean Chassagne. Most car details are identical like the dash-line, the cloth-wrapped steering wheel, the flimsy seats and the relatively high gas tank. A difference is the windscreen on top of the dash, which is continuous (and slightly different in shape) on Grant’s car, but divided on Chassagne’s car (cf. the crashed car photo). Also the color of the car seems lighter than his own car. Another confusing detail by the way is the sweater with the white strip, almost identical to the 1910 Alco sweater, but without lettering. Chassagne indeed crashed during the 20th lap, turning turtle while taking a turn. Grant was more successful and finished on 7th place. 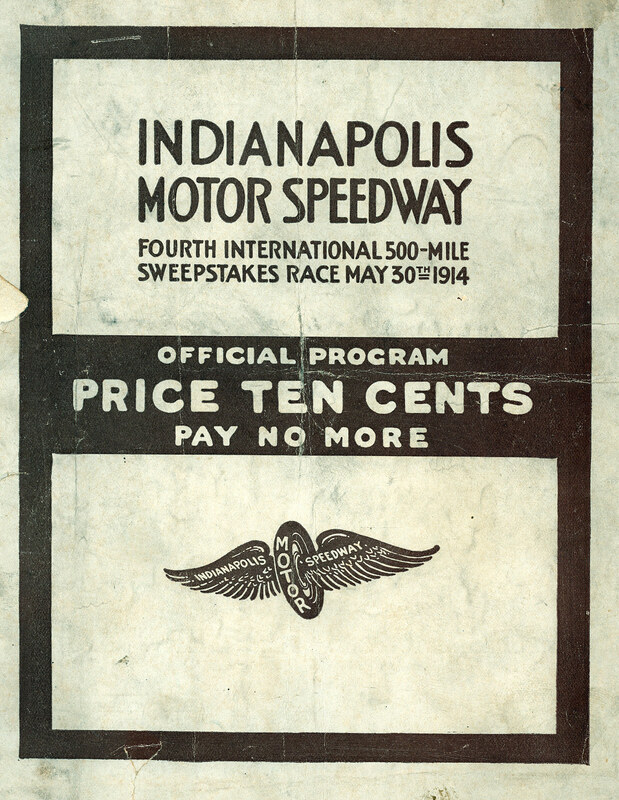 Mystery Foto #50….I want to call the driver Johnny Aitken and his claim to fame was that he started in 41 races at the Indianapolis Motor Speedway, the most starts of any driver in the track’s history. Going out on a limb and calling the car a Peugeot. I can’t document it though. 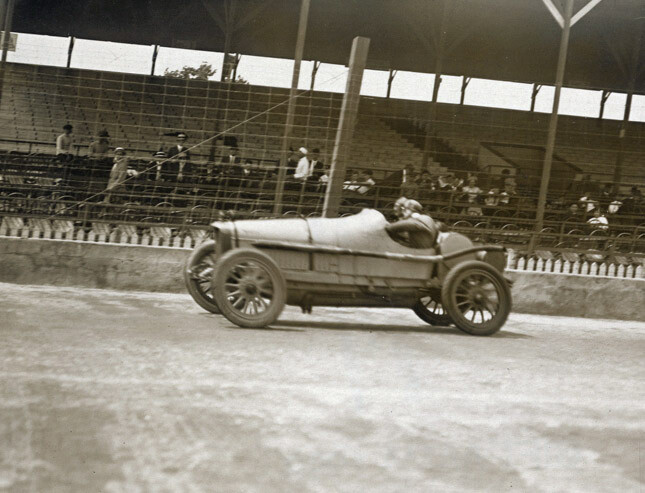 Running out of time for research so I’ll guess !909 & !910 VCR winner Harry Grant at the Elgin National Trophy Race, August, 1913, driving an Isotta. I would have to say that the driver looks like Harry Grant.